The San Diego Bead Society hosts engaging speakers, who present at our monthly meetings and who teach small classes for our members. 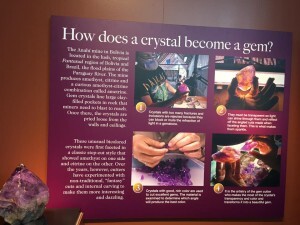 We love to have activities that engage our members in all aspects of the beading world. Take a look at some of our past events! THIS MEETING IS FOR YOU! No need to sign up. You can also just bring a project to work on and have a bead circle. If you need help with a project that you learned from a SDBS Guest Artist, you may find that help is available! Please bring your beading mat and light, needles, thread, etc. 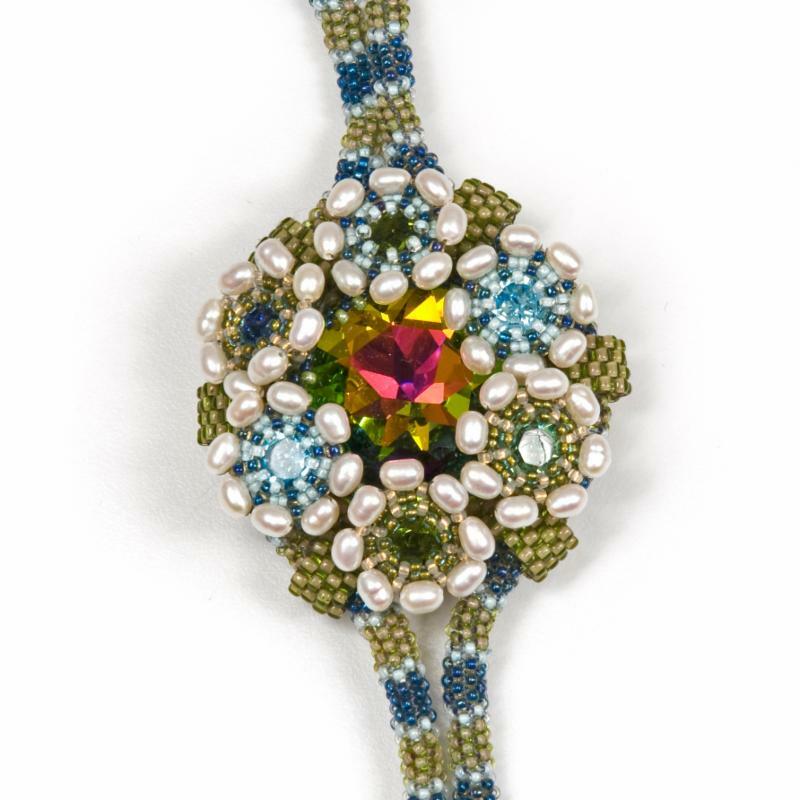 Amy Katz has been part of the world of seed beads since 1993 as a student, teacher and designer. Her admiration for high-end jewelry pieces is her inspiration. As her commitment to her own designs grew, Amy made the decision to give them a fine jewelry look using seed beads, crystals, pearls and other elegant materials. Using imagination, this vision has come to life as her signature style. 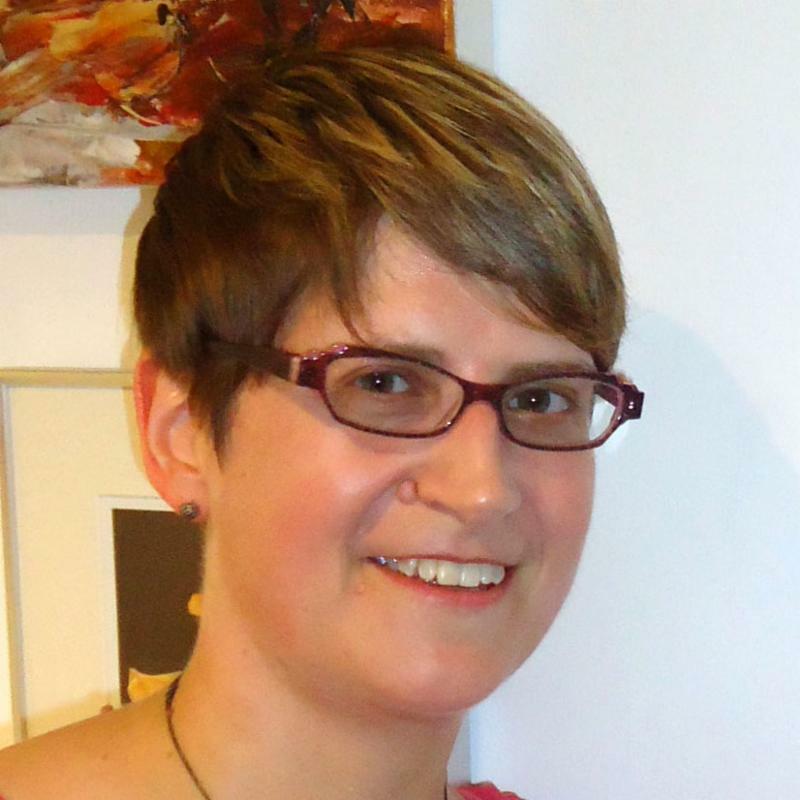 Amy is a national teacher with a passion for sharing her love of the work. 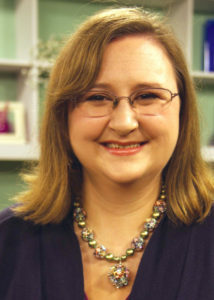 She is also the co-author of Beading Across America and author of Seed Bead Chic. 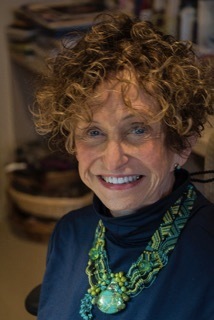 If you’d like to learn more about Amy Katz before her presentation, please visit her at www.beadjourney.com or email her at amy@beadjourney.com. We look forward to her presentation! 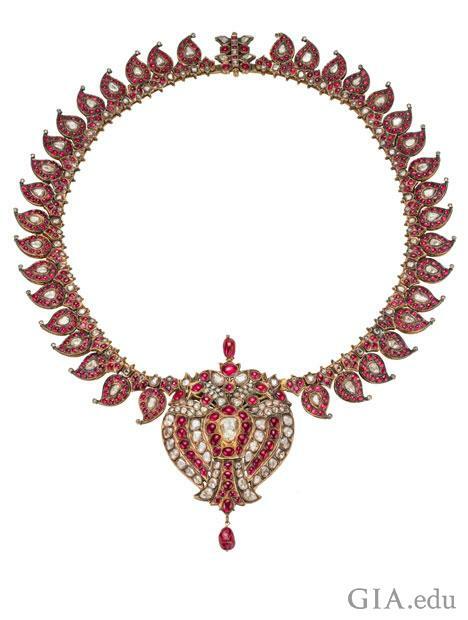 “Centuries of Opulence: Jewels of India” explores the often intricate routes diamonds, rubies, emeralds, sapphires and other gems decorating these pieces took from their sources across the globe. 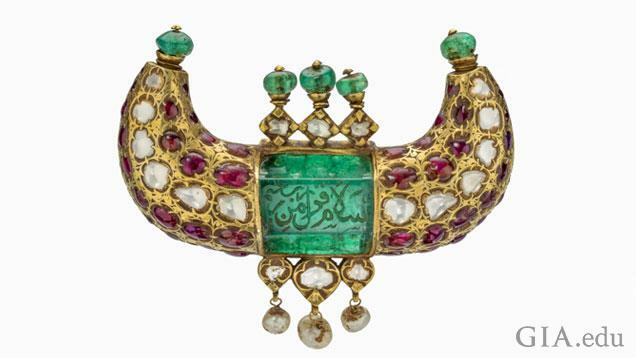 It delves into their religious and cultural symbolism, the wars fought for them and the historical tradition of gemology — the study of gems — in India. 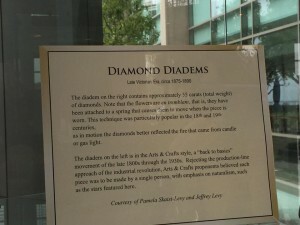 The pieces exhibited are on loan from a private collection. Transportation will be on your own, and we will meet at the GIA campus in Carlsbad. For entry, all visitors must present a photo ID at the gates (even if you’re not driving). 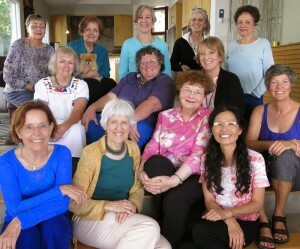 You are more than welcome to bring along a friend, even if that person is not a member of the San Diego Bead Society. Just let us know how many people will be in your group when you RSVP. Last year, we voted to move ahead with the filing of the IRS paperwork so we could become a 501(c)(3) non-profit organization. Over the course of 2017, we also voted on two new Bylaws (a Conflict of Interest Policy and a Dissolution Clause) that were a required part of the paperwork, and we also voted on submitting the $850 application fee. We would like to vote on this recommended change at our January 20 meeting so we can move forward with our application. In keeping with Article V, Section 3, of our Bylaws, which requires seven days’ notice before an emergency meeting, we will have a short five- to ten-minute mini-meeting at 10:30 to vote on this proposed change before the regular meeting begins. Since we need two-thirds of our General members for a vote to amend our Bylaws, please be sure to attend next Saturday’s meeting. If you have any questions at all about this change or have any suggestions, please don’t hesitate to contact us at sdbeadsociety@gmail.com. Thank you all for your help in this important matter! Kinga Nichols was born in Hungary in 1980. At 19, she packed up her life in a backpack and moved to the US where she has been residing since, albeit not at the same place. 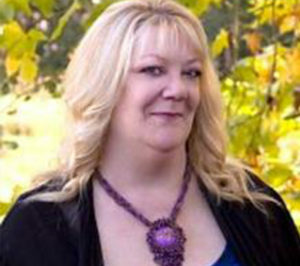 She currently lives in Boulder, Colorado with her husband Paul Nichols and furbaby, Samantha Regina Nichols. Samantha Regina is not only her muse but her model as well. 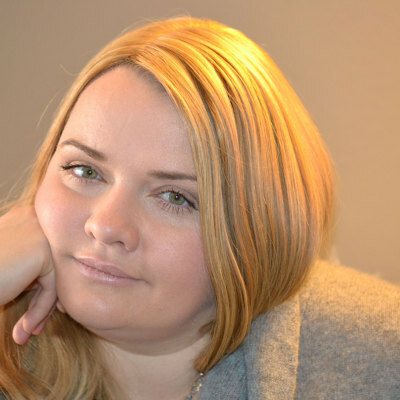 Many of Kinga’s best known pieces were popularized by the canine model. One way or another Kinga has been always making things, i.e., painting murals at the time she lived in New York. The murals were fun, but she did not feel like painting was her calling. Eventually she picked up a BNB magazine in 2007, found a bead embroidery project, and the obsession took over. After that first project, she started creating her own designs and quickly found her own distinctive voice that allowed her to translate her imaginings into beadwork. Kinga is always brainstorming,and her imagination provides an endless supply of fanciful ideas that she translates into bead embroidery. Her work first got noticed in the first Battle of the Beadsmith. 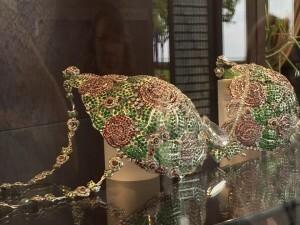 Then, followed BeadDreams finalist in 2013 and, and in 2014, 3rd place in the Swarovski category and a book feature in Marcia DeCoster Presents, 2014. 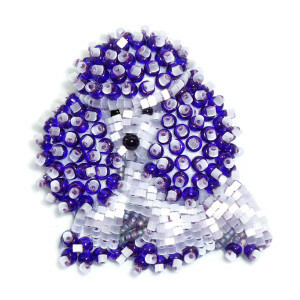 In 2015, she won first place in the crystal category in BeadDreams. 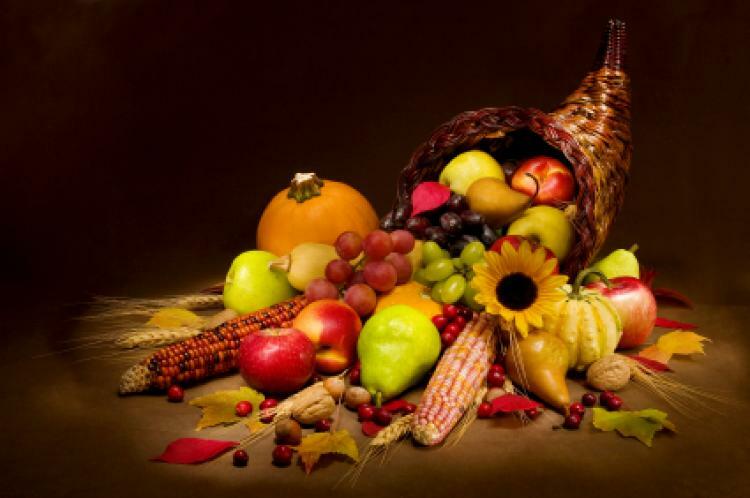 Join us at our November 18 meeting for our annual members-only potluck and sale! 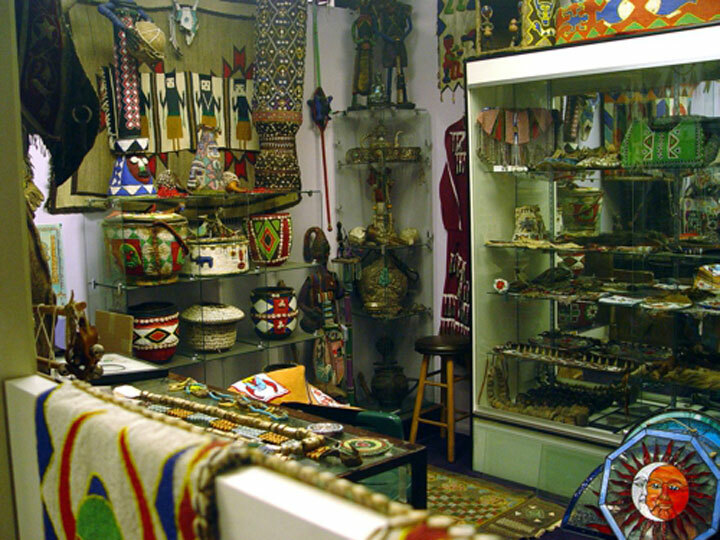 Members can enter the Mingei at 9:00 A.M. to set up and start the swap and sale. There will be a short meeting at 10:30 A.M., and then the swap and sale will continue afterwards. If you are bringing items to swap or sell, be sure to get there early so that you can claim a spot at one of the tables and so you have time to set up your wares. Tables are limited and available on a first-come, first-serve basis, and we ask that you kindly share space so that we will have plenty of room for everyone who wants to sell their items. At this meeting, we will also be voting on some important matters, including our 2018 budget and the positions of President and VP of Membership. We need a quorum in order to move forward with the voting, so it’s very important that we have a full turnout. A-G Desserts — Cupcakes, cakes, cookies, brownies, pies, chocolate, muffins, strudels, etc. H-M Appetizers — Cold cuts, veggie tray, hummus, dips and spreads with crackers, fruit salads, guacamole, salsa with chips, finger food, etc. N-Z Hot or Cold Plates — Pasta salad, potato salad, green salads with dressings, deviled eggs, turkey rolls, casseroles, breads, etc. 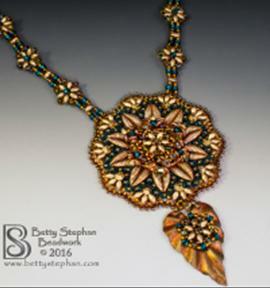 Betty Stephan is an accomplished bead artist whose work focuses on bead embroidery. 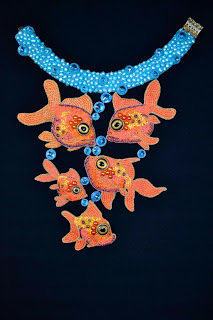 She has won numerous international awards for her bead embroidery, including the prestigious Bead Dreams contest, and her work has been published in several books and publications. Betty’s necklace “Cathedral Windows” is pictured on the cover of 500 Beaded Jewelry, and she was one of thirty featured artists in the book Marcia DeCoster Presents. Students in her classes always remark that Betty’s classes are focused on learning, but at the same time they are relaxed and a lot of fun. 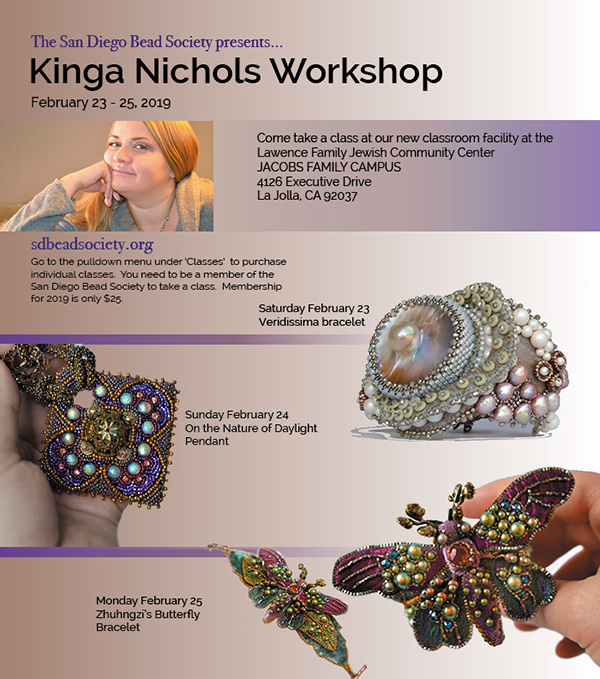 Her years of beading and teaching experience and the detailed, illustrated instructions provide the guidance needed to finish her beautiful class projects. 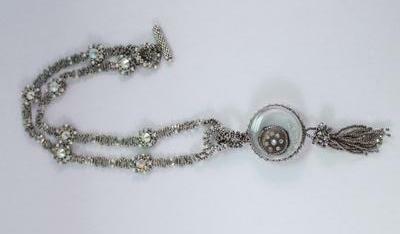 When not teaching or designing jewelry in her western New York studio, Betty and her husband travel around the country in their RV — which is fully equipped so Betty can bead as she goes! 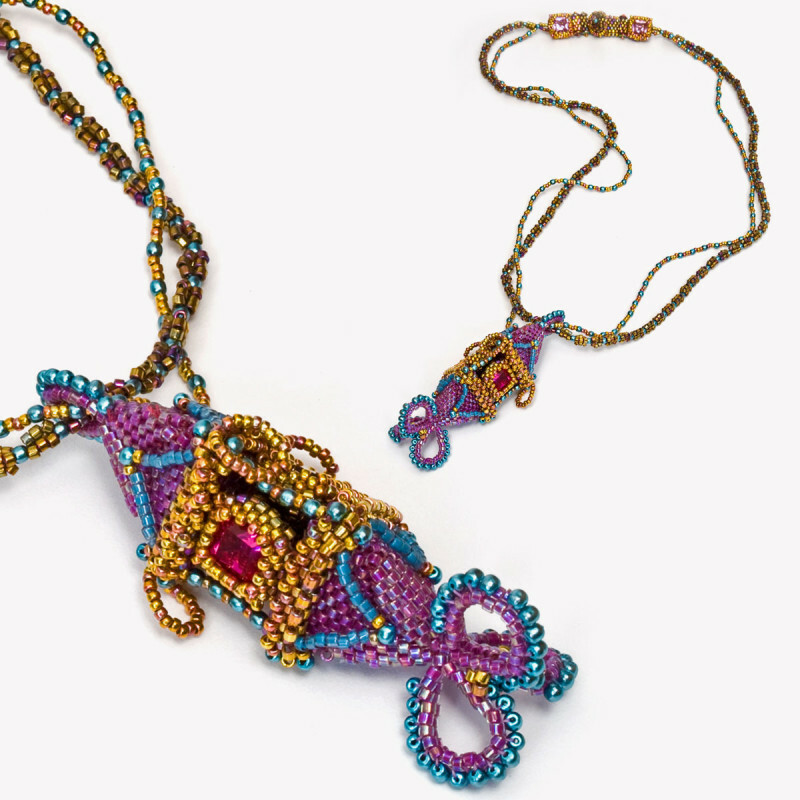 Over the years, Betty has created about 100 beaded collars, and her presentation for us will showcase a selection of these collars — with many of them shown on “real people” at art shows, etc. — to show how she incorporates scale and wearability into her designs. Betty will talk about the background of these collars, as well as her process in bringing them from conception to finished pieces. Melanie Potter is an artist and designer for School of Beadwork, and a national and international instructor teaching unique off-loom seed bead jewelry designs. Her background in couture sewing was a natural transition into beadwork design and construction. More recently, her venture into watercolor painting has further inspired and brought fresh approaches to her color theory. 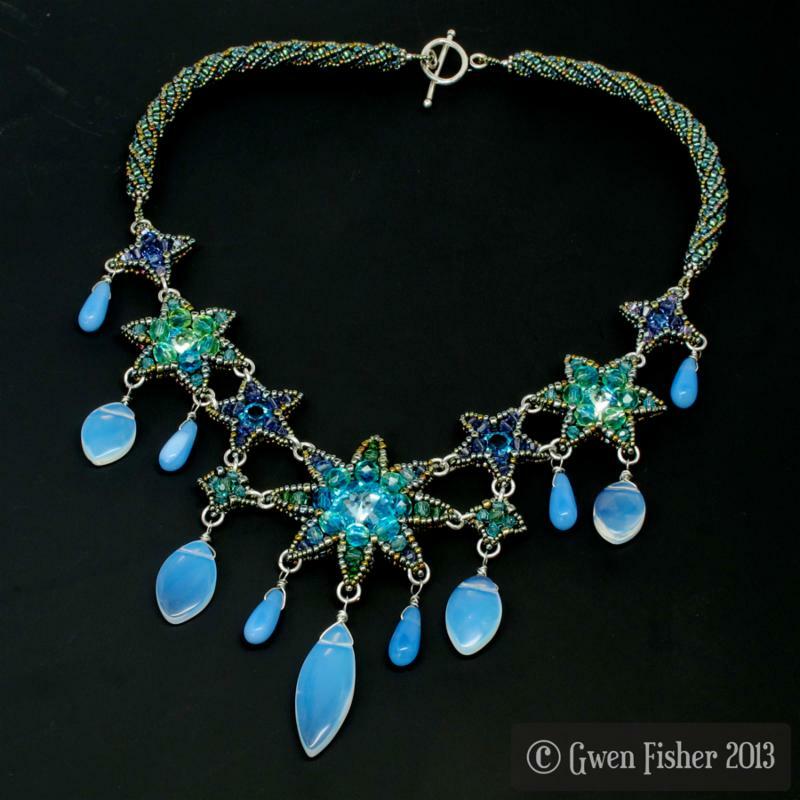 Melanie has a passion for producing three-dimensional structural forms and architecting unique clasps, and she was selected as a Master Teacher for the Bead and Button Show in 2016. In addition to these talents, Melanie is also a graphic artist and she professionally illustrates and formats all of her own instructions. Her work is published in a number of books and magazines, including Master’s Beadweaving and Major Works by Leading Artists. Melanie’s studio is on the beautiful California central coast, where she beads, swims, hikes, bikes, creates watercolor paintings, and enjoys time with her husband Scott. Melanie’s presentation will focus on her design process. 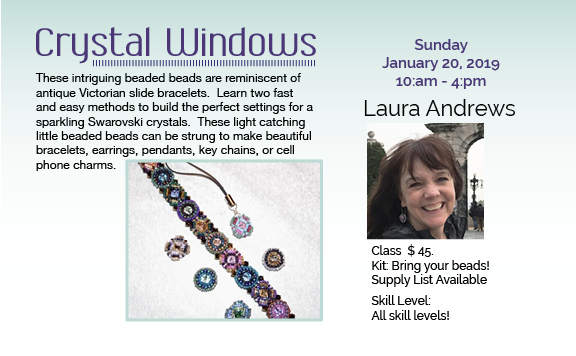 She’ll touch on some of the strategies she uses when creating new work, and will also share some considerations that help her to produce beadwork designs that are wearable, as well as appealing. It’s sure to be a fun presentation since Melanie will be using lots of visual examples from past work that she has created. Jayashree Paramesh was introduced to the world of beads through a bead embroidery class she took while a student at Parsons, The New School for Design, in New York. She looks everywhere for inspiration and then creates from within. 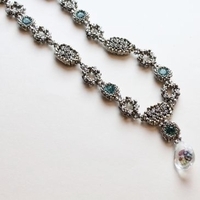 Her designs are more about her desire to bring out the unique beauty of the beads and the woman, rather than having a signature style. That being said, she is inspired by fine jewelry and loves to use some gold or silver in her pieces. Sparkly crystals and gemstones in jewel-tones are her favorites. 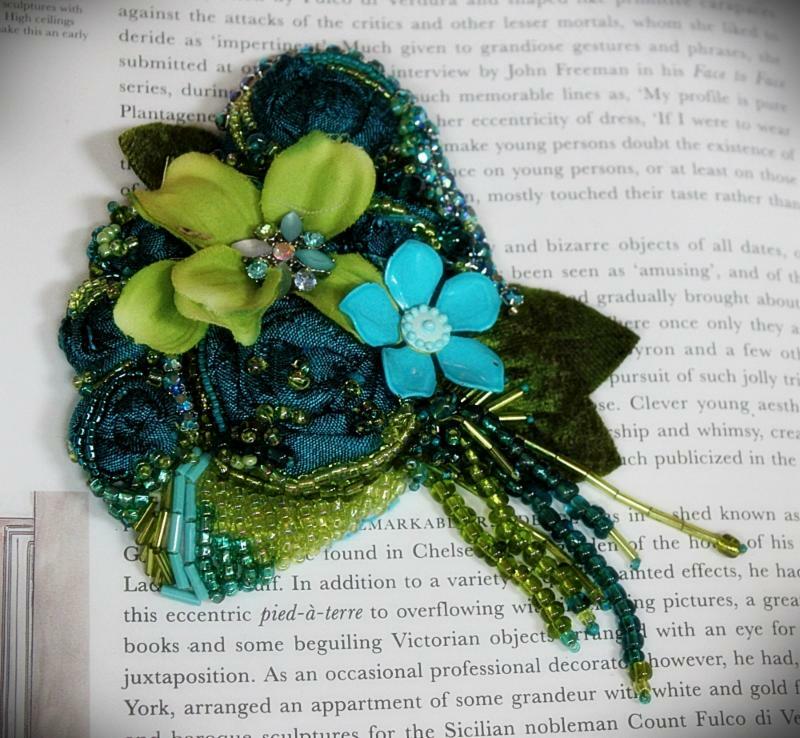 Jayashree’s designs have been published in Perlen Poesie, Beadwork, and Bead and Button. 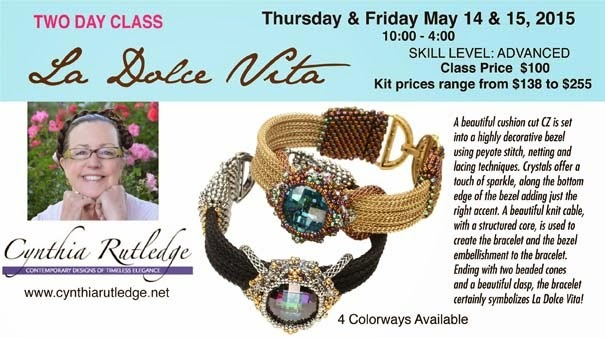 She has taught and continues to teach at various studios and stores across the USA, Bead and Button Shows, and bead guilds. 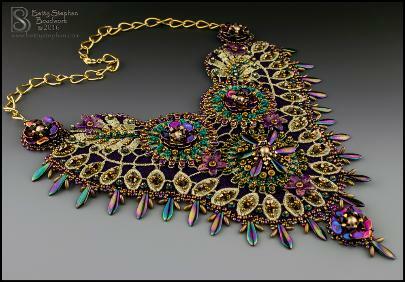 It is a very gratifying experience for her to share her designs with fellow bead artists. Jay’s talk for us will focus on her approach to design and how she comes up with her many unique pieces and shapes. To see more of her work, please visit her Nchantme page on Facebook. Many kits and tutorials of her designs are also available at https://www.etsy.com/shop/Nchantme. Please join us for what promises to be an educational presentation! 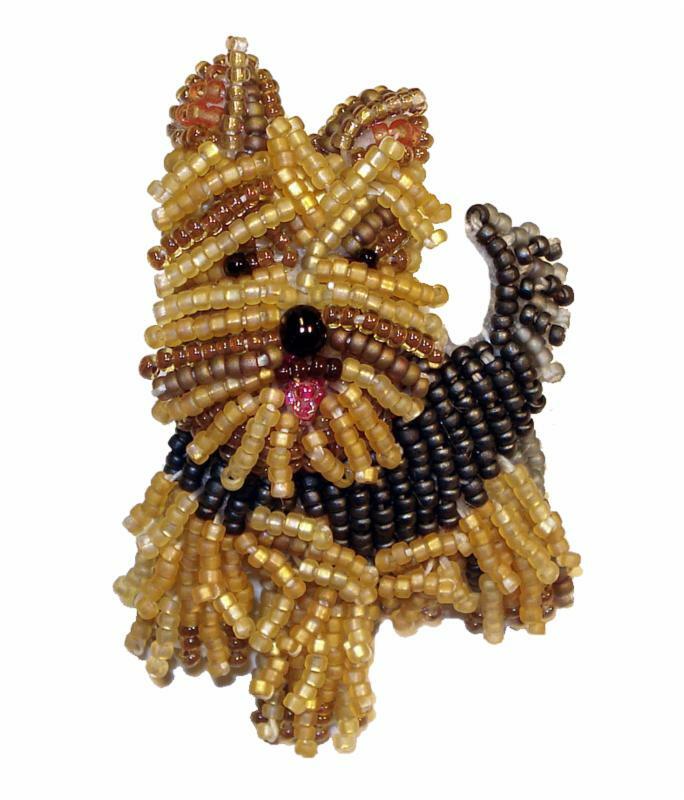 Jody Young is a master bead artist who began beading at the age of twelve. Before moving to Maui, Hawaii, where she lived for several years, Jody owned Beyond Beads Gallery in Spokane, Washington, for more than twenty-one years. She has recently returned to the Pacific Northwest, and today her creations are being recognized as fine art. 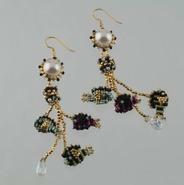 Jody’s one-of-a-kind pieces, which she calls Bead Art-Worth, truly come alive using her distinctive raised textured beading technique. Jody uses the finest quality beads, as well as a mixture of shells, coral, pearls, stone, glass, crystal, and other natural elements. Each bead is meticulously threaded by hand, never glued. Her Bead Art-Worth collection is finished with a backing of fine, soft leather and is often displayed on natural elements such as shells, rock, or wood. Jody draws inspiration for the Bead Art-Worth collection from the natural beauty and rhythm of life. Earth, water, air and fire are the soul of her work. Inspiration awaits while strolling the beach, snorkeling, hiking majestic Northwest forest, or simply gazing at the warm glow of a campfire. The vibrant colors and natural rhythms of nature are uniquely captured in her extraordinary work. 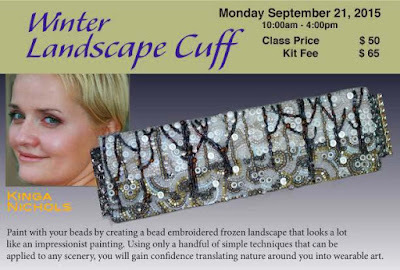 Jody’s presentation will be about her Raised Texture Beading style, a free-form (no patterns to follow) technique that allows you let the beads speak to you through color, texture and placement. 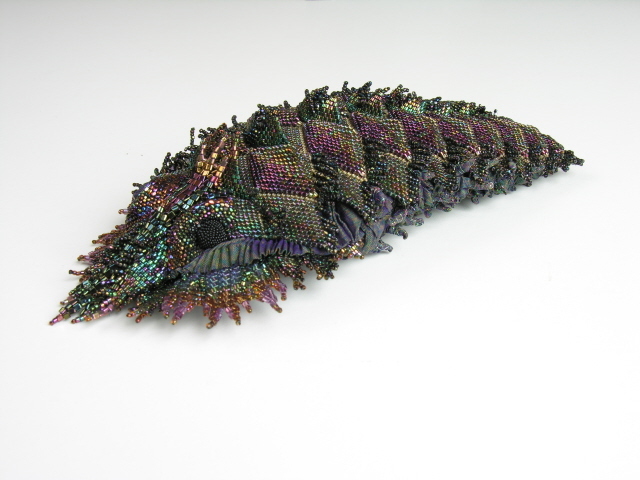 In her work, she uses a variation of stitches to create movement and texture throughout the beadwork, allowing her work to come alive. Tracy Stanley is from the Pacific Northwest, and has been teaching beading and wire working techniques for over twenty-five years. 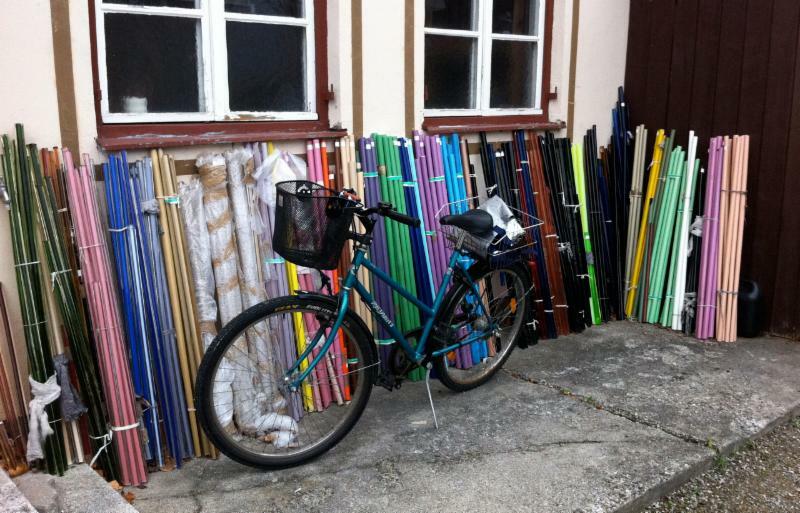 She loves organic elements and brings them into her work as often as possible. Tracy is a big believer in quality tools and solid techniques, and she enjoys passing this information on to her students so that they, too, can make quality pieces that are structurally sound, while creating pieces that they can be proud of. Her goal is to make wire and metal work accessible to all by using simple low-tech techniques. 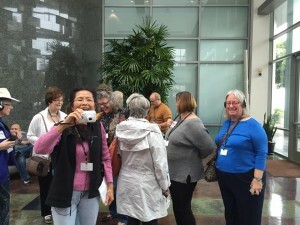 Over the years, Tracy has taught classes at bead stores all over the country, from Alaska to Florida; at the major bead and wire shows around the country; and on retreats that include Italy and Caribbean cruises. Her newest book was released in December of 2016 and is called Exploring Metal Jewelry. She has also co-authored a book called Making Wire & Bead Jewelry that came out in 2012. 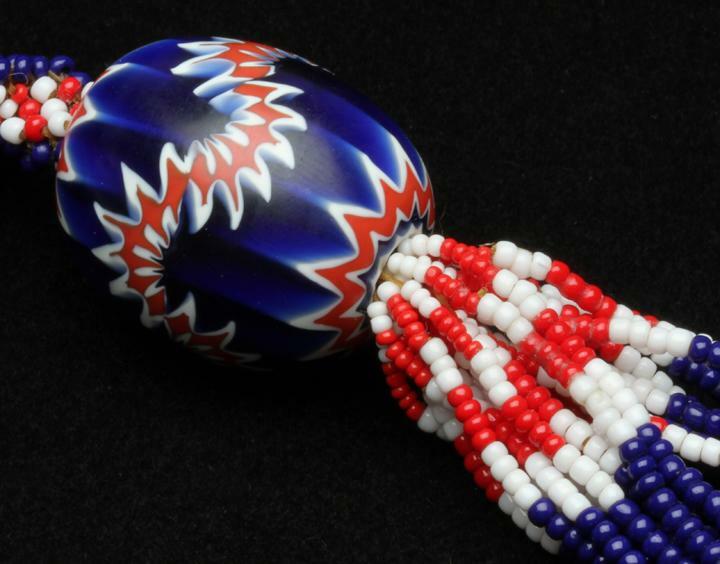 “A History of Beads” with us on April 8! Phil Fischman, owner of the Encinitas bead store Beads, Crystals, and More, will share his deep knowledge of beads and bead history with us on April 8th. Phil began enjoying beads at age fifteen (back in 1969) with his first discovery of a Chevron bead that opened his eyes and mind to history, travel, and art in ways previously unknown. He has been, of course, a beadaholic ever since! to complete a pair of earrings for his wife’s birthday. He learned that the store was going out of business — and, in a unique twist of events, ended up buying it and turning it into a bead store catered towards San Diego’s growing group of beaders. 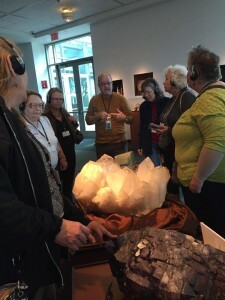 In his presentation, Phil will be sharing his vast knowledge of beads with us, and will include information on the artifacts and Antique Trade Beads, which date back 6,000 years, that he has in his collection. Please join us for our March 18 meeting! Open Beading Session: Bring Your “UFO’s”! Have you had a hard time fitting in any beading lately? Do you have quite a few “UFO’s” laying about — those unfinished objects that you can never seem to finish? If so, then be sure to come to our next meeting! We’ll also be raffling off some beading books that Dr. Robert Liu kindly donated to us this past fall. Be sure to come early so you can pick up a raffle ticket and some delicious treats before you settle in with your beading! Virginia Blakelock’s career in beads has been one filled with many “firsts.” Her work was first published in Threads magazine in 1988, generating the most reader letters of any article in that magazine’s history. Her book Those Bad Bad Beads was the first modern treatise on beadweaving techniques that was not from a Native American or craft point of view. In that book, she was the first to describe flat Ndebele herringbone stitch and quadruple helix. In 1991, she was the first American to contact private Czech pressed glass bead makers and contract with them to produce beads for the American bead market. Remember Tiny Tim drops? Dagger pendants? Leaves and flowers? Her company Beadcats, Inc. first brought them to market in the 90’s. Blakelock and her business partner Carol Perrenoud were the first bead teachers at Penland School, and they taught at Surface Design, Convergence, and for embroidery and quilt guilds across the country, touring in a 1975 Cadillac six-door black limousine. Many of the luminaries in the bead world today were Virginia’s and Carol’s students, including Diane Fitzgerald and Carol Wilcox Wells. 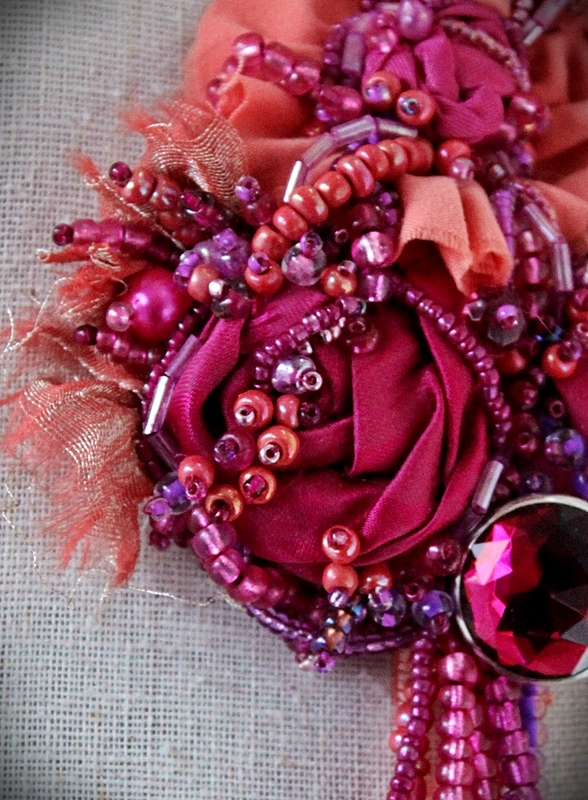 She and Carol have taught at every Bead & Button Show since it originated as Embellishments in Texas more than fifteen years ago, and they were the first to teach the Master Class in 2000. Virginia’s talk will cover highlights of her artwork, and will also include candid photos of the rest of her life, including some highlights of her Czech travels. As you can see, Virginia is an artist of “firsts,” and her presentation will give you a glimpse into her creative life. 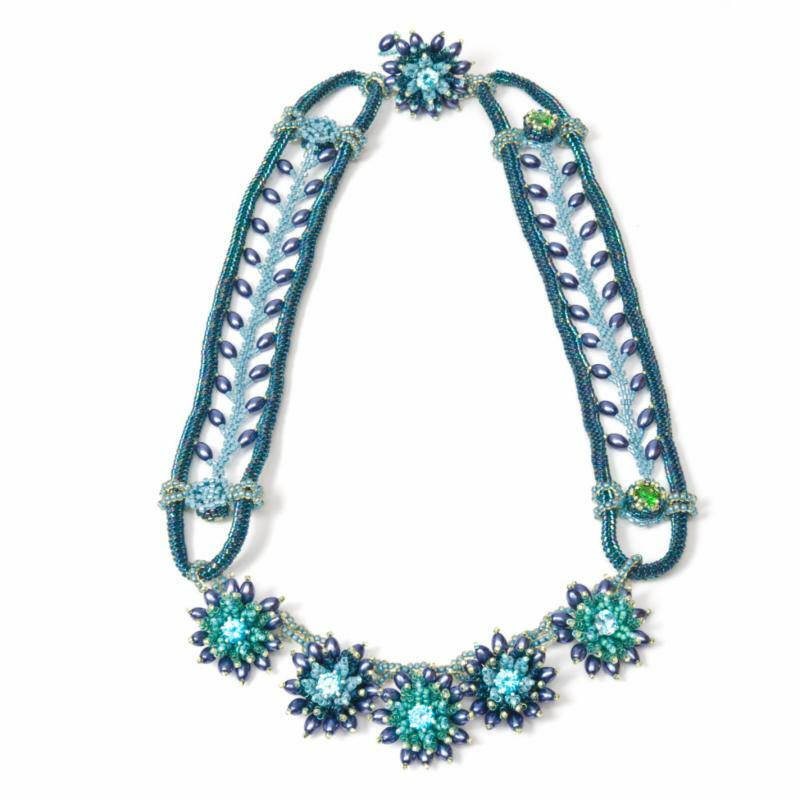 For Sandy Swirnoff, the pleasure of working with fiber combined with beadwork is the same: making the concepts in her imagination come to life. She likes the intimacy of holding the fiber cords in her hands and shaping them into surprising patterns and designs. She enjoys the opportunity that each piece presents — how to get from one place to another in the most attractive and graceful manner. Sandy is especially inspired by uniting the antique and the contemporary in her work. As a young woman, she lived in a Prairie-style home that featured the mellow golds and rich blues of Tiffany glass. This memory was reawakened in 1990 when a truck crashed into an antique store window filled with Art Nouveau glass vases and lamp shades in Portland, Oregon. The beautiful glass was irreparably damaged. 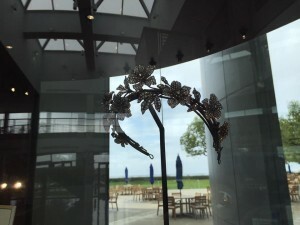 Sandy bought many of the fragments and is thrilled that her work not only recycles and preserves the shards, but gives people the opportunity to appreciate their beauty in new and contemporary settings. One of her pieces is part of the permanent collection at the Museum of Art and Design in New York City. 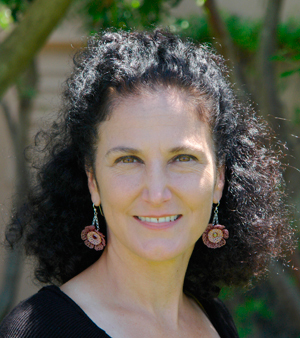 For her presentation for us, Sandy will be talking about the importance of fiber jewelry and her creative process. 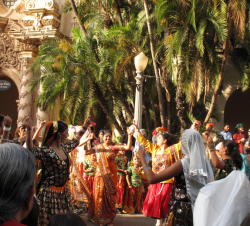 At our annual members-only meeting, we will be voting on our 2017 budget and our annual donation to the Mingei Museum, and also electing some new Board positions. 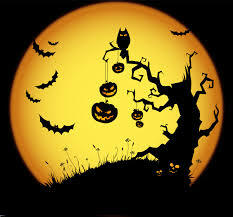 After we take care of those important matters, we’ll have our annual potluck and jewelry sale/swap. This is a great chance to find good homes for the beautiful jewelry you have made. We’ll also be doing the giveaway for the Bead Jar! 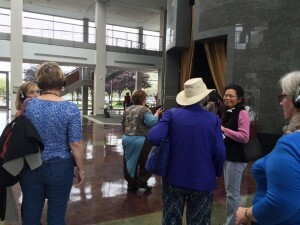 Members can enter the Mingei at 9:00 A.M. to set up and start the swap and sale. 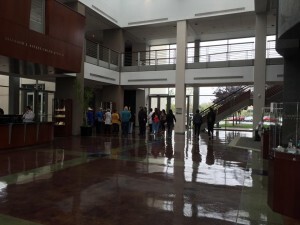 There will be a short meeting at 10:30 A.M., and then the swap and sale will continue afterwards. If you are bringing items to swap or sell, be sure to get there early so that you can claim a spot at one of the tables and so you have time to set up your wares. Tables are limited and available on a first come, first serve basis, and we ask that you kindly share space so that we will have plenty of room for everyone who wants to sell their items. At this meeting, we will also be voting on some important matters, including our 2017 budget, our donation to the Mingei Museum, and several officer positions. We need a quorum in order to move forward with the voting, so it’s very important that we have a full turnout. Have you had a hard time fitting in any beading lately? Do you have quite a few “UFO’s” laying about — those unfinished objects that you can never seem to finish? Are you interested in learning some basic beadweaving stitches, like right-angle weave and peyote? After a short general meeting on October 15, we’ll be having some fun by spending our time working on beading projects. We’ll have the room set up with round tables so you can bead and socialize, and a few of our members will also be demoing bead stitches so you’ll be able to learn or brush up on some stitches. If you’re interested in joining a bead circle in your area, we’ll try to get those organized at this meeting, too. 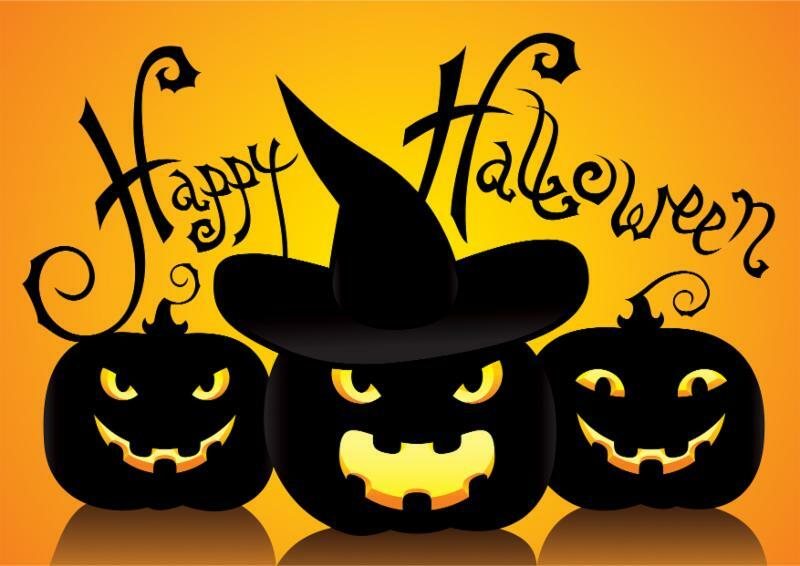 Two hospitality volunteers will be bringing snacks, but if you have any “ghoulishly” tasty treats to share, please feel free to bring them to share — and if you’d like to dress up for Halloween, that would be delightful! 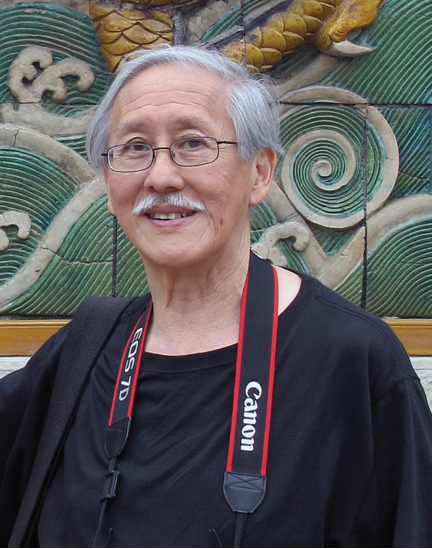 Trained as an ethologist/ichthyologist, Robert K. Liu received his Ph.D. from the University of California at Los Angeles, where he worked on experimental gerontology in the Department of Pathology, School of Medicine. 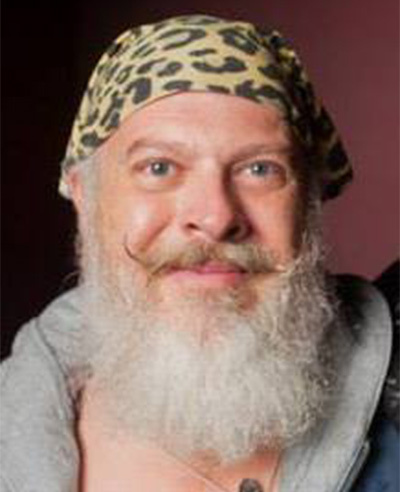 In 1975, he left biomedical research after founding The Bead Journal, which changed its title in 1978 to Ornament, a journal of personal adornment. 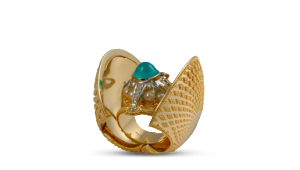 Self-trained as a jeweler and photographer, he is co-editor of Ornament and has written over 700 articles on ancient, ethnographic and contemporary jewelry and personal adornment since 1974. Some of his particular research interests center around ancient glass of China and the silicates of the Zhou and Warring States period. 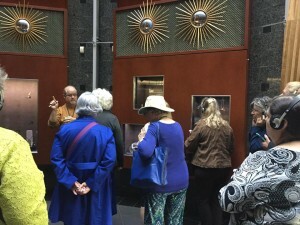 Over the past four decades, he has lectured extensively in the US, as well as in the UK and People’s Republic of China; given many workshops on jewelry photography; and made bamboo jewelry. Dr. Liu has also recently published The Photography of Personal Adornment, and has also written the book Collectible Beads. All of his publications are also illustrated with his own photography, both film and digital. Have you ever wondered how the beads and jewelry, whether ancient, ethnographic or contemporary, that you love are made, or how they were used? In his lushly illustrated PowerPoint presentation, Dr. Liu will be answering these questions for us, and explaining how personal adornment — whether thousands of years old or just a few years old — influences our lives. Drawing upon his own research and that of other experts and museums, Dr. Liu will help us better understand our love and fascination for jewelry and beads. Dr. Liu will also have copies of his new book available for a special reduced price for our members at his lecture. Melanie Potter is an artist and designer for School of Beadwork, and a national and international instructor teaching unique off-loom seed bead jewelry designs. Her background in couture sewing was a natural transition into beadwork design and construction. More recently her venture into watercolor painting has further inspired and brought fresh approaches to her color theory. 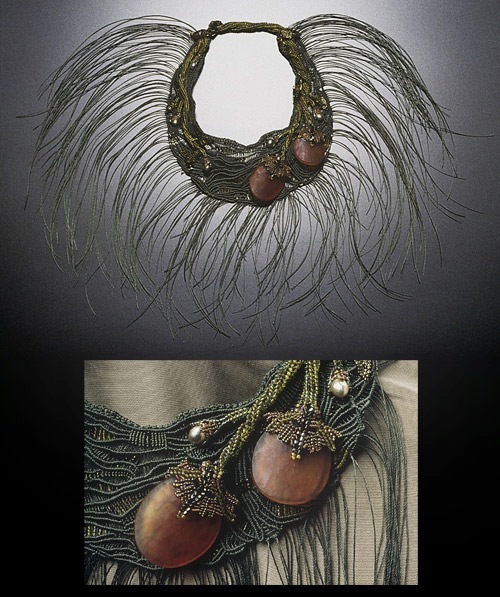 Melanie has a passion for producing three-dimensional structural forms and architecting unique clasps, and she was selected as Master Teacher for the Bead and Button Show 2016. In addition to these talents, Melanie is also a graphic artist and she professionally illustrates and formats all of her own instructions. Her work is published in a number of books and magazines, including Master’s Beadweaving and Major Works by Leading Artist. Melanie’s studio is on the beautiful California central coast where she beads, swims, hikes, bikes, watercolors and enjoys time with her husband Scott. For her presentation for us, Melanie will be doing a shortened version of the Master Class she taught at this year’s Bead and Button show. 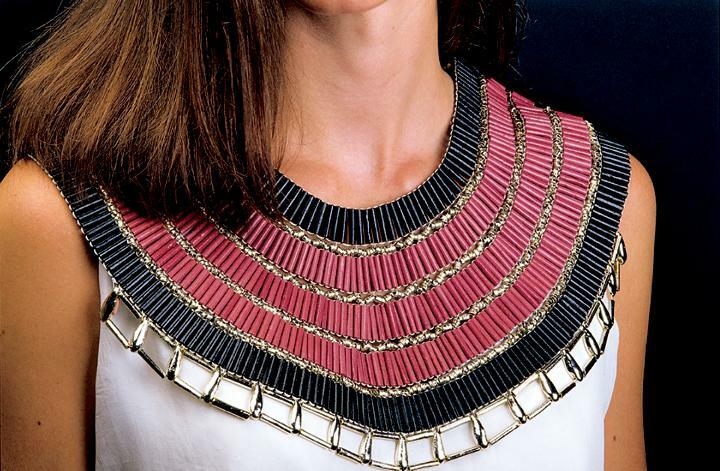 Her talk, “Clasps: Composition, Proportion, and Types,” will explore the design theory behind the placement, scale, and techniques as they are applied specifically to clasps in jewelry design. 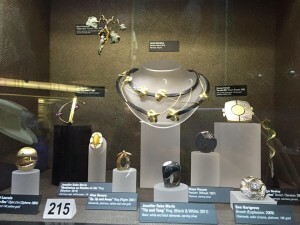 A variety of clasps and techniques will be examined to uncover fundamental design principles and aesthetics related to secure closures for necklaces and bracelets. 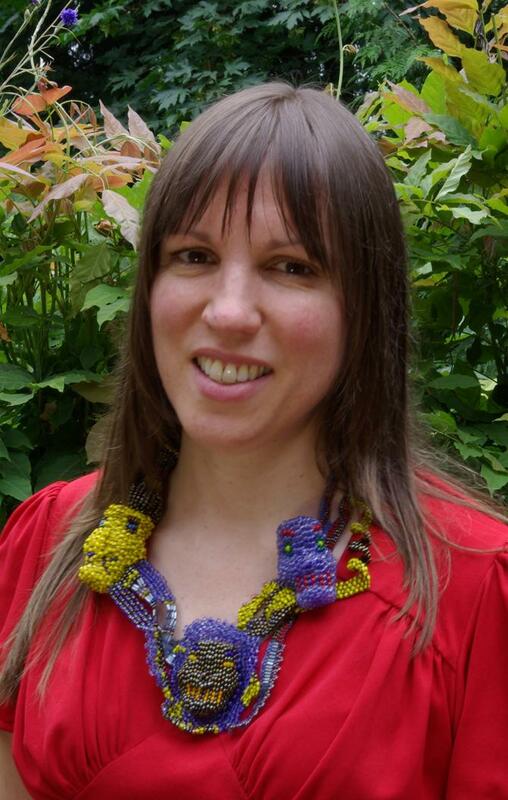 Teresa Sullivan is an artist, musician, and educator based in Olympia, Washington, who creates sculpture, jewelry, and sculptural jewelry with woven seed beads and found materials. Her enthusiasm for the unusual, the irreverent, and the magical pervades both her art and her music. 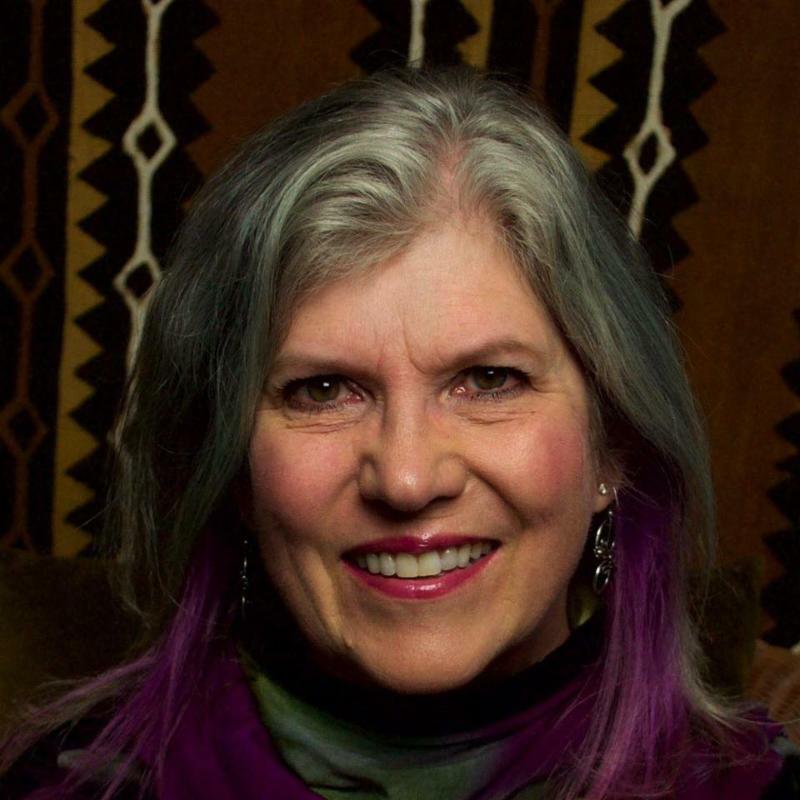 She has exhibited and taught internationally, and her work has been featured in Ornament, Fiberarts, and Beadwork magazines, and also in the books 500 Beaded Jewelry, Suzanne Golden Presents: 36 Artists Who Innovate with Beads, Kate McKinnon’s Geometric Beadwork, and Marcia DeCoster’s Beads in Motion. 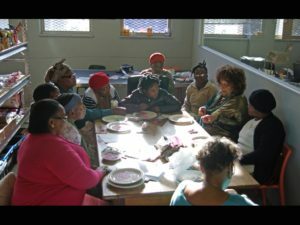 In the summer of 2014, Teresa accompanied legendary artist and educator Joyce J. Scott and four other artists on a three-week trip to South Africa. 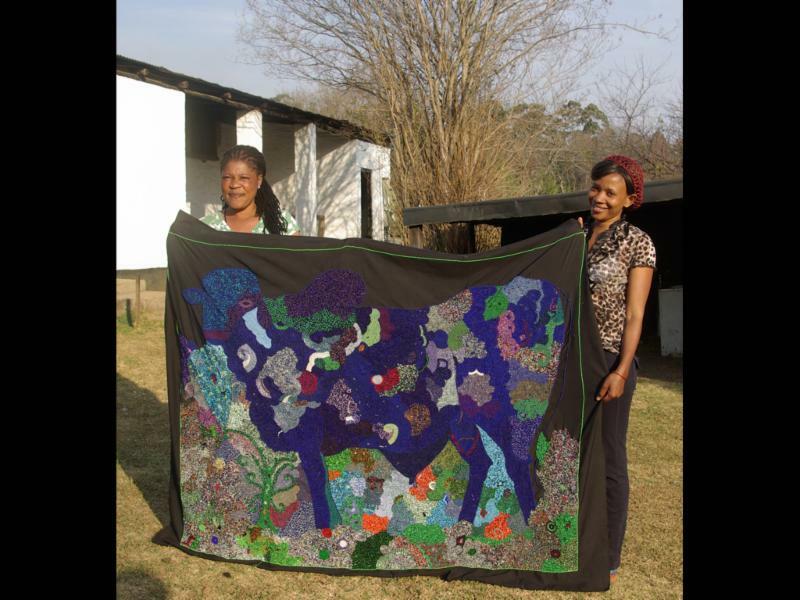 Joyce had previously met members of a bead tapestry group from an area near Ladysmith and had seen the beadwork of another group from Cape Town, and she was inspired to share her skills with them. Her decision not to do this alone led to eye-opening adventures for this group of six friends/colleagues that included music, dance, and art. 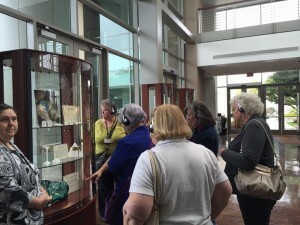 During her presentation, Teresa will share information about her travels, and will also have a small number of artifacts from her trip for viewing. She’ll also have a trunk show that includes books and special museum posters, as well as beads. 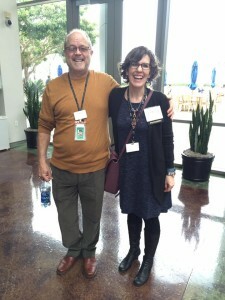 Gwen Fisher is an artist, mathematician, teacher, and learner. 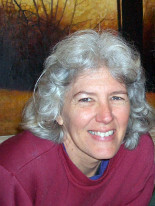 She has a Ph.D. in Mathematics Education, and is a former Professor of Mathematics at Cal Poly, San Luis Obispo. She uses mathematics — including geometry, symmetry, topology, and algorithms — as inspiration for the structure of her creations. 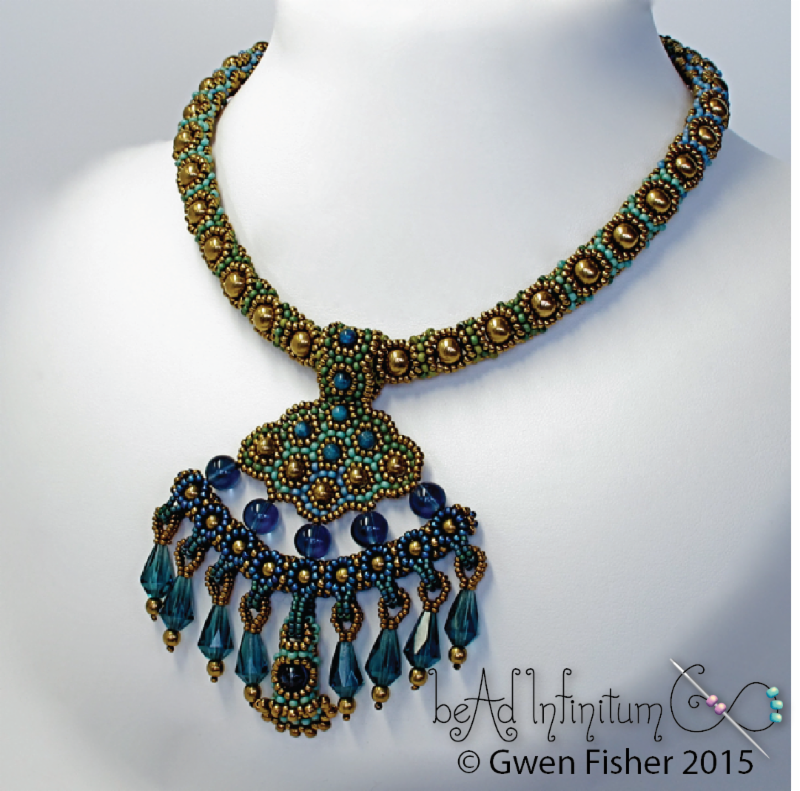 Since 2005, Gwen’s primary medium has been bead weaving and designing tutorials so that other people may enjoy reproducing her designs. 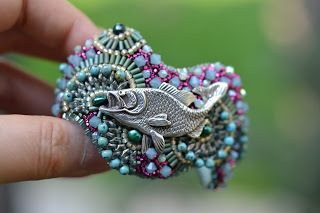 When she creates her tutorials, she intends for them to be beautiful objects in their own right, and has said that the culmination of her written work as an art form comes when another beader creates real beaded art from the tutorial. In this way, the viewer of her artwork is not merely passive, but rather an active participant in the creation of her art. In her presentation for us, Gwen will explore is g oing to explore the ways in which mathematical design influences her beadwork. As Gwen will explain, a bead is anything with a hole, and a hole is an oriented line segment in three dimensions. So there are straightforward methods for using beads and thread to represent many geometric objects composed of line segments. Examples of this idea include tlings (tessellations) and polyhedra, such as cubes. During her talk, Gwen will show many examples of how she translates these kinds of mathematical objects into beautiful beaded objects, and she will also explain how the notion of “symmetry” helps her organize all of the many possibilities. 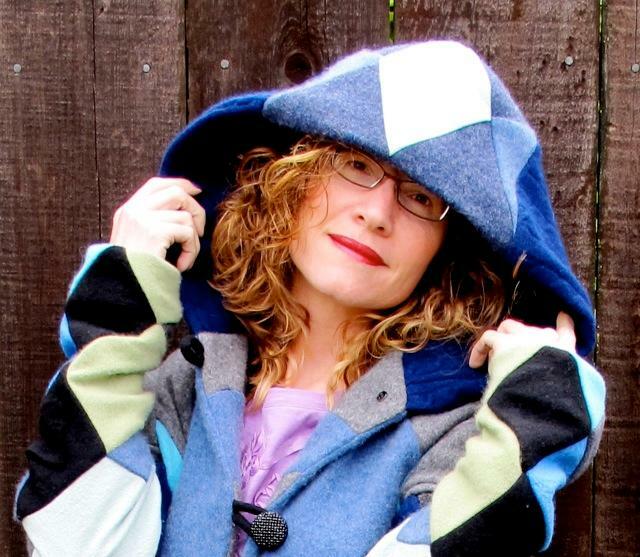 Come explore the fascinating world of mathematical designs at Gwen’s May 21 presentation! Diana Lynn Grygo, AKA The Lone Beader, is a self-taught beadwork artist focusing primarily on bead embroidery. 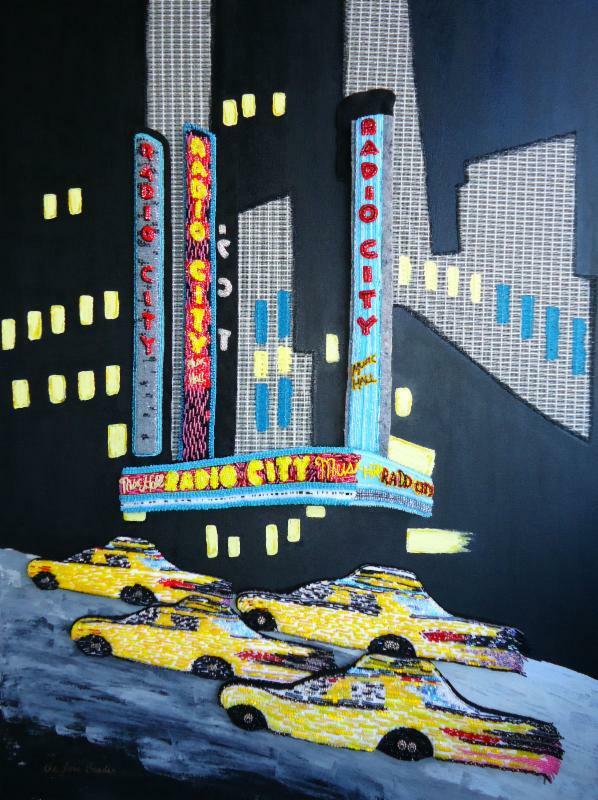 She creates multidimensional pieces of beaded art by stitching seed beads onto layered felt. 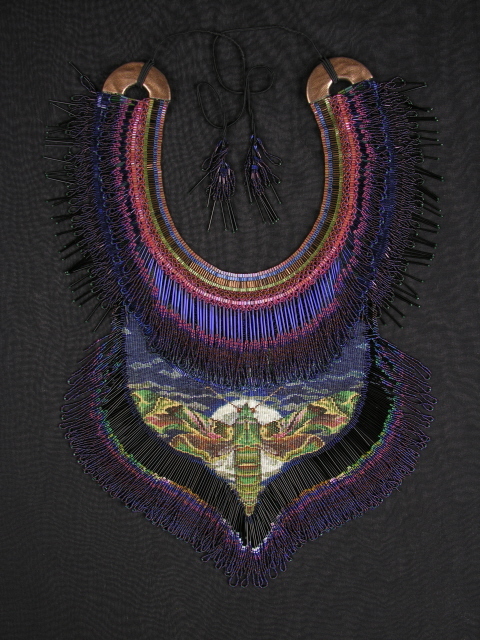 Diana also loves to combine beadwork with mixed media techniques, often stitching her beaded subjects to a painted canvas or collage. Etsy shop. She currently works at her home studio in Boston, Massachusetts, and is a member of the Cambridge Art Association. Her beadwork has been juried into Bead & Button magazine’s 2013 Bead Dreams Competition, and she has also been published in both Beadwork and Bead & Button magazines, Russia’s Handmade Magazine, and more recently, a book called Mastering the Art of Embroidery by Sophie Long. from 10:30 A.M. to 12:00 noon! 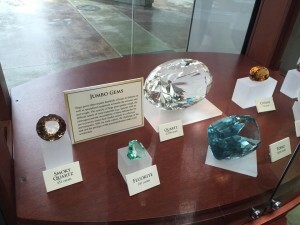 Forty-one of our members and guests made it up to Carlsbad on April 8 for our free field trip to the Gemological Institute of America (GIA). 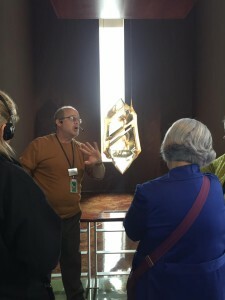 We had two docents lead our tours, and were able to see the GIA’s amazing collection of gems and jewelry! Here are some pics from our field trip. A career in interior design has given Carla a focused eye for color, texture, scale, and balance. She worked as a commercial interior designer in Portland, Oregon, for over twenty-five years, before moving to Oregon wine country, where she lives on ten acres in a pastoral setting. 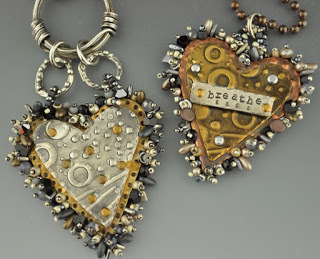 Carla began making jewelry about ten years ago, after collecting beads and findings from her travels over the years. She started out making traditionally strung jewelry, and gradually began experimenting with incorporating vintage jewelry pieces into her designs. 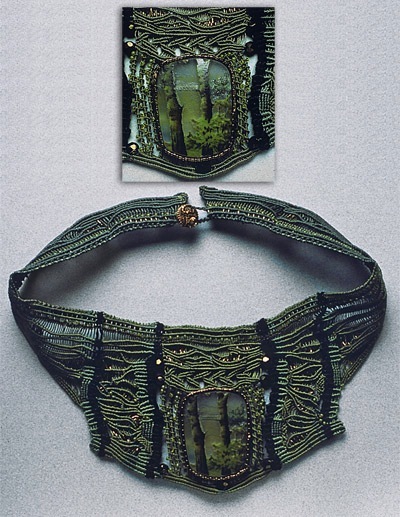 At this time, she began creating collages, encaustic paintings, and mixed media art, which inspired her to think about collage as something that could be worn, and thus were her wearable “collage collars” born. 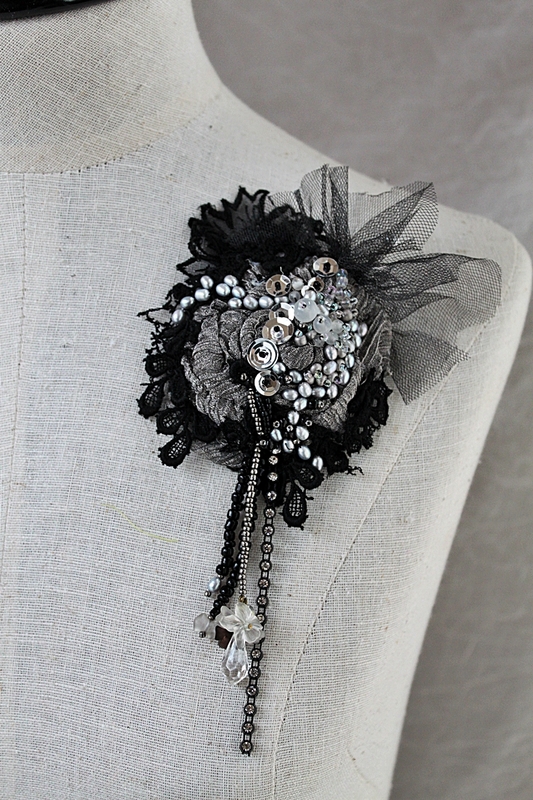 A burgeoning collection of vintage and antique jewelry and beads, findings, fabrics, buttons, vintage and antique laces, millinery supplies, and various and sundry items are used in her stunning pieces. Please join us for what promises to be another exciting program! Floor Kaspers is a Dutch artist, and she has been exploring European bead history through her travels. Going to factories, old dump sites, shops, and museums, she collects not just beads, but the stories connected to beads. 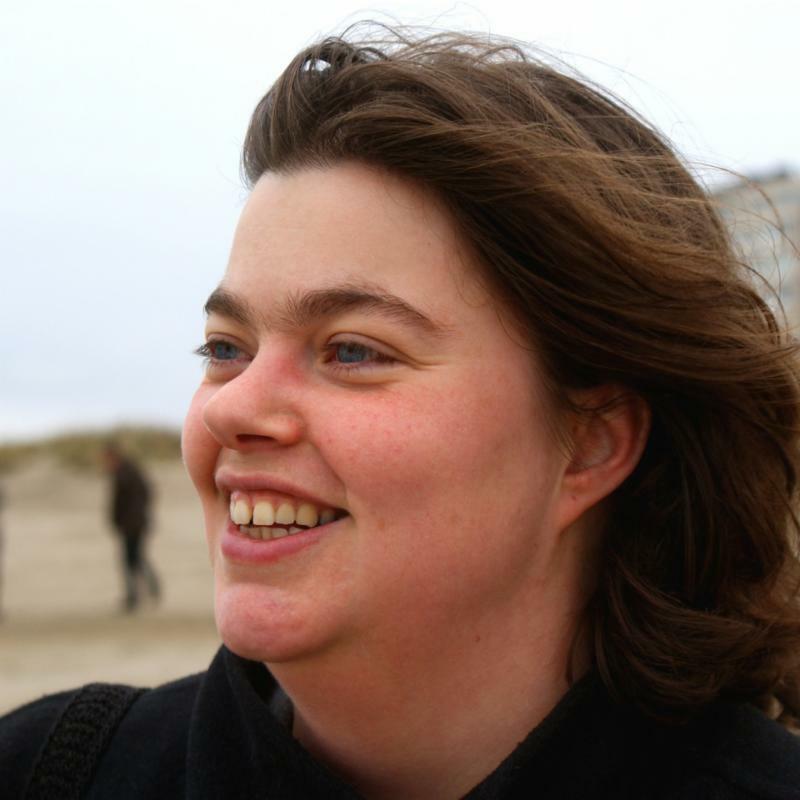 Floor Kaspers has written three books about her discoveries: Beads from Briare, Beads from Tucson, and Beads from Jablonec. 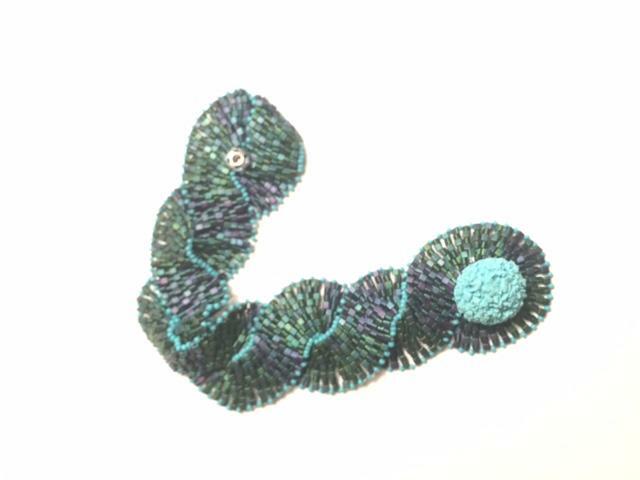 Currently, she is working on her latest book, entitled Beads from Germany. For her presentation, Floor shared the fascinating story of German beads. During the last few years, she visited three “bead towns”: Lauscha, Neugablonz, and Idar-Oberstein. All of these towns have a prominent place in German bead history. Lauscha is known for its hollow and marble beads, Neugablonz is where many Bohemian beadmakers settled after WWII, and Idar-Oberstein is the birthplace of many stone beads. Floor will explore the history of beadmaking in these towns, and will explain how a “normal” town becomes a “bead town.” The lecture will be a mix of history, personal stories, and lots of “show and tell” of German beads.As part of her work, Floor also collects bead sample cards, and has documented them as part of the Bead Museum project. 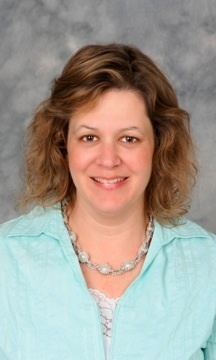 To learn more about her, please visit Floor’s website. If you also visit the Bead Museum site, you can download free copies of Floor’s books under the News link. 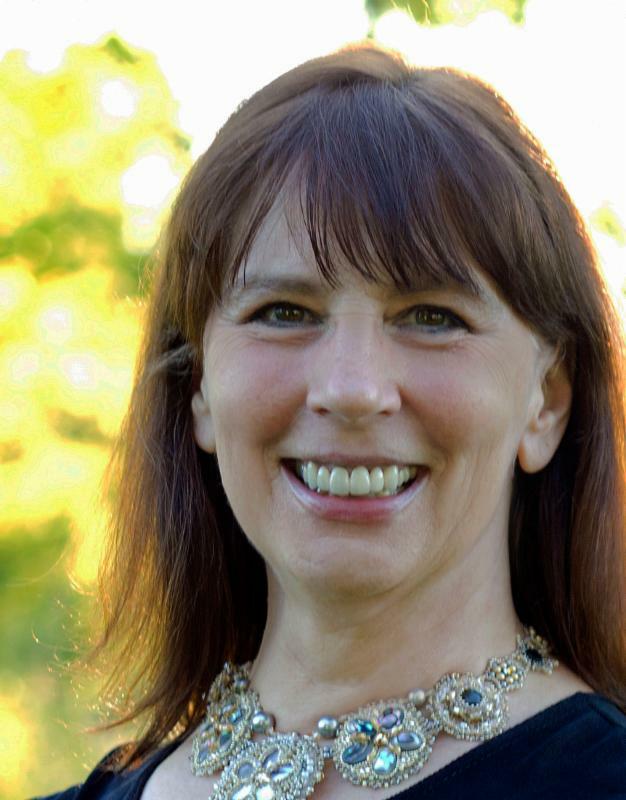 October 17: Diane Whiting shared her approach to creating convertible jewelry designs. She spoke about the innovative techniques that she uses to build convertibility into beading designs, and also taught a class for us the next day. 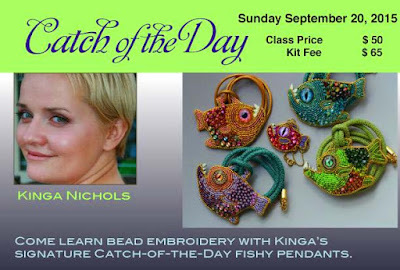 September 19: Kinga Nichols presented her journey into bead embroidery and design, and taught two classes for us. 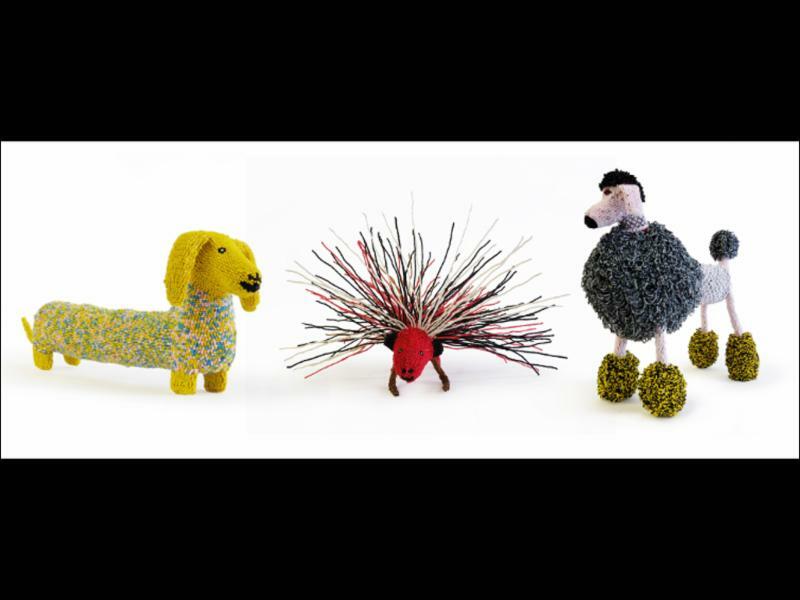 Kinga is a phenomenal bead embroidery artist, and she spoke about her whimsical, imaginative art. August: Kate McKinnon entertained us with a talk about her collaboration with 500 other artists. 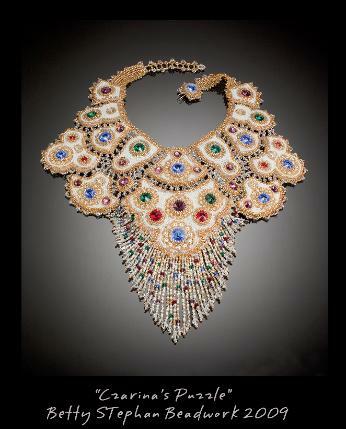 June: Robert Haven presented his journey to beading and the history and application of the tambour beading process. 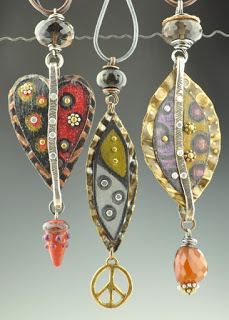 May 16: Cynthia Rutledge, long-time bead artist and teacher, returned to San Diego. You may recall Cynthia got her start beading at San Diego’s The Shepherdess. Cynthia taught two classes for us: La Dolce Vita bracelet and La Muse: La Bella Simonetta necklace. April: Brenda Schweder shared her artistic history and how her friendships with other artist have led to beautiful artistic creations. 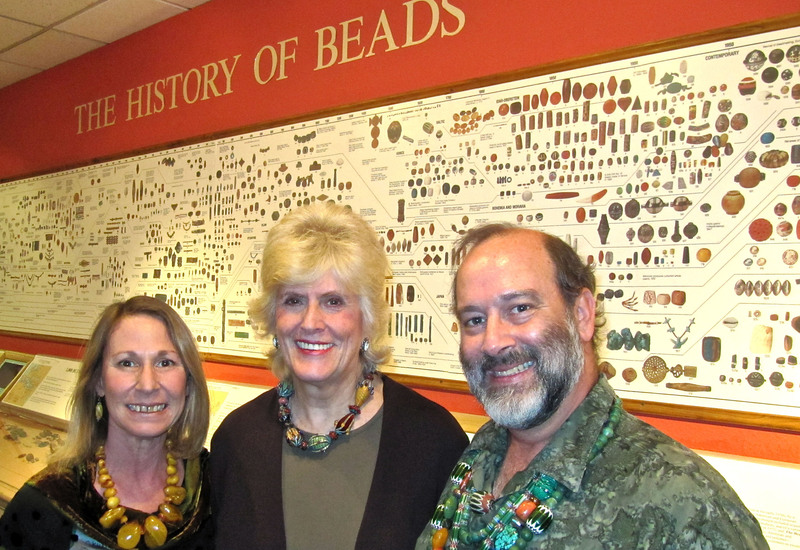 March: Diane Fitzgerald, talented bead designer, discussed fads and trends in beading. She also taught a class on the cornerless cube, which is made up of six flat peyote squares and eight flat peyote triangles that are zipped together. In addition to covering many techniques used in making the cube that can be applied to other beading, Diane showed us how to make her Bubble Bead with two hole lentils (or two hole triangles), and gave us directions and a kit for a pretty pair of earrings. And, she shared the secrets of her bead kit with us, including tools she finds helpful and items she takes to keep her bead kit pretty and fun. February: accomplished seed beader, Judy Walker, shared her live as a “beadaholic” with humor, wonderful slides and an impressive display of her beaded pieces.